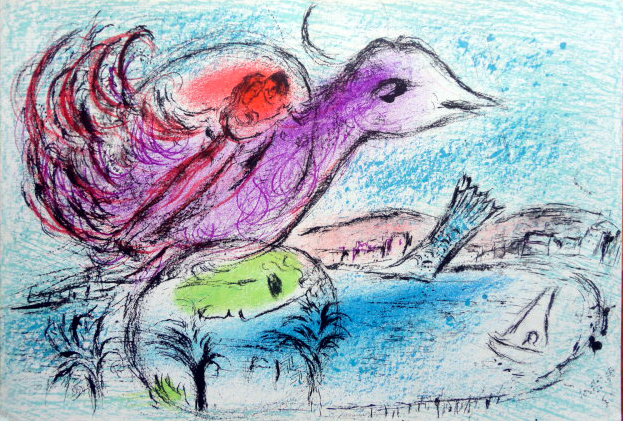 Marc Chagall, La Baie, original colour lithograph, double-page centre spread, 38 x 56 cm. DLM no. 132, published in 1962 by Galerie Maeght in Paris, containing two original colour lithographs, one single and one double page. 800€, unframed, VAT excl., packaging and transport not incl.